The unnecessary standby power consumption of many everyday electrical devices alone is estimated at about 20 billion kWh in Germany. In a normal household, approximately 10 – 20% of total consumption can be traced back to it. 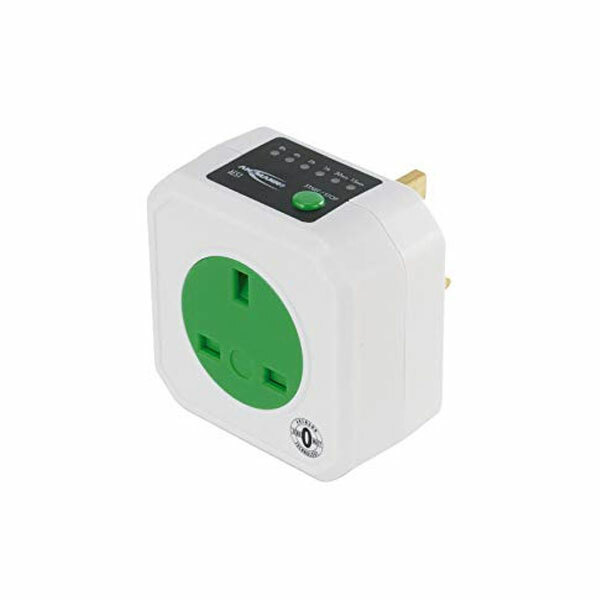 The intelligent timed AES 1 outlet automatically disconnects the connected consumers (e.g. heaters, irons, pumps, printers, copiers, coffee machines and many other energy consumers) from the mains after a pre-set operating time (15 min. – 8 hrs.). Thus, the power consumption in standby mode is equal to zero. This not only protects the environment but also saves you money. Operation is very simple. The remaining operating time can be set with a key. A visual LED display indicates the remaining operating time. The following values can be selected: 15 min. / 30 min. / 1 h / 2 hrs. / 4 hrs. / 8 hrs. The load is max. 2500W / 10A or max. 1150VA / 5A with inductive loads (e.g. engines).